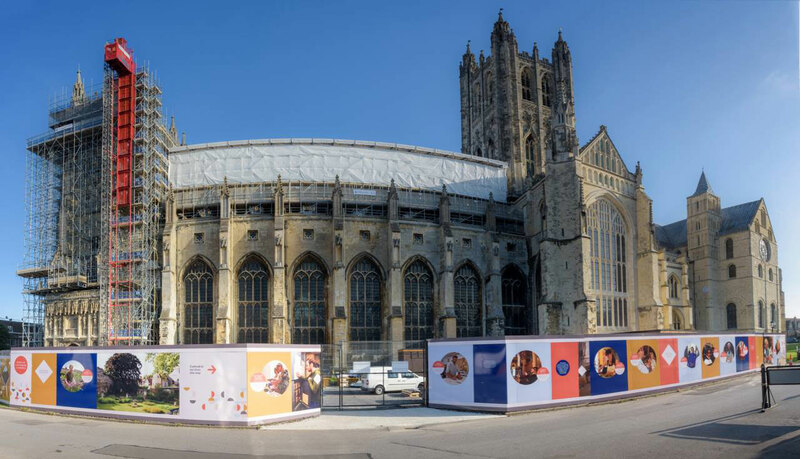 The Canterbury Cathedral is one of the most well-known, well-established and well-regarded religious buildings in the UK. 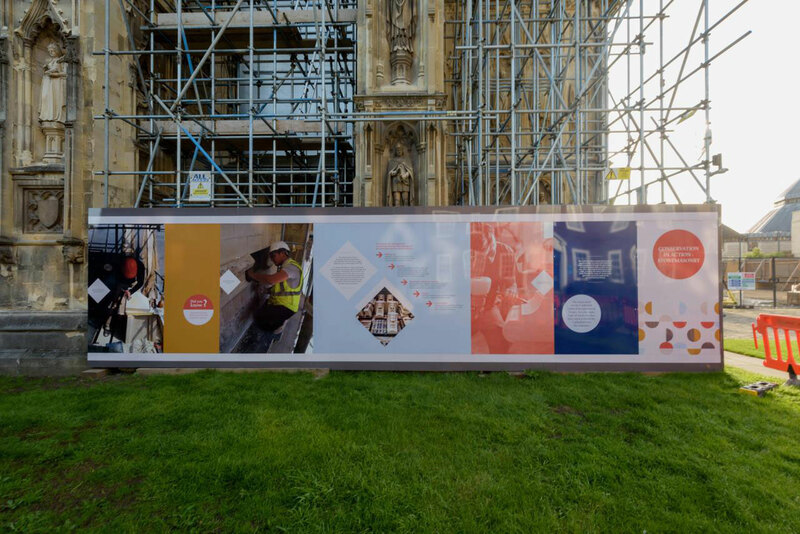 In 2017, the cathedral underwent an extensive restoration project, for which, it would remain open. The brand specialists at Datum are a complete cross-media production house that offers a wide range of services including print and digital production, point-of-sale, large format and brand management. The company boasts an impressive portfolio of clients such as Adidas, the Royal Bank of Canada, and Swatch. 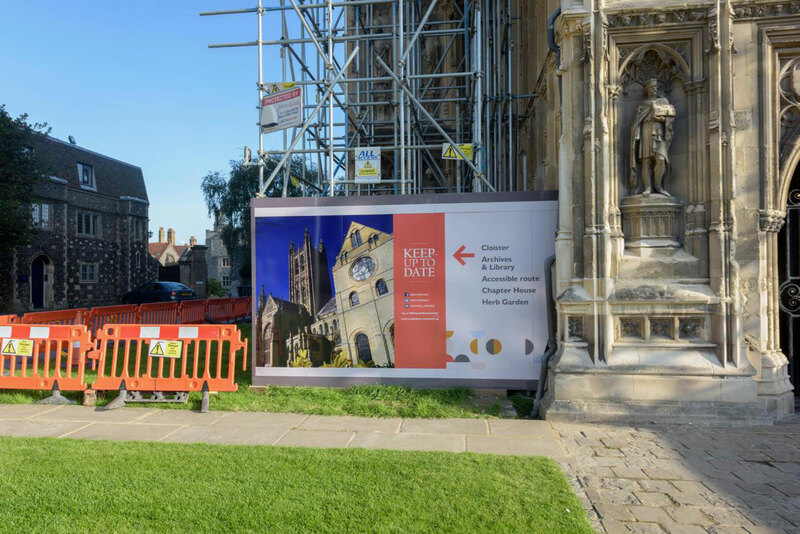 It’s no wonder the team at Datum was commissioned for the extensive hoarding installation at the Canterbury Cathedral in February 2017. 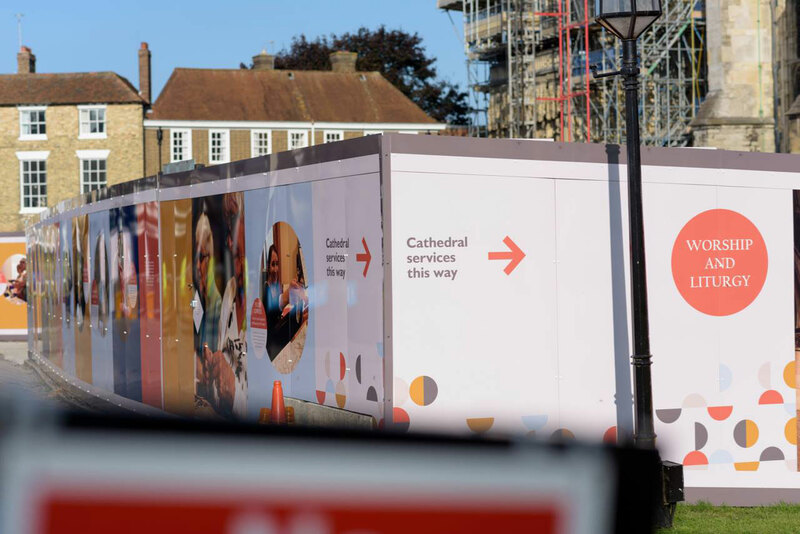 “The site is a hugely significant place of worship but also a UNESCO World Heritage site that accommodates 900,000 visitors a year,” describes Datum representatives. 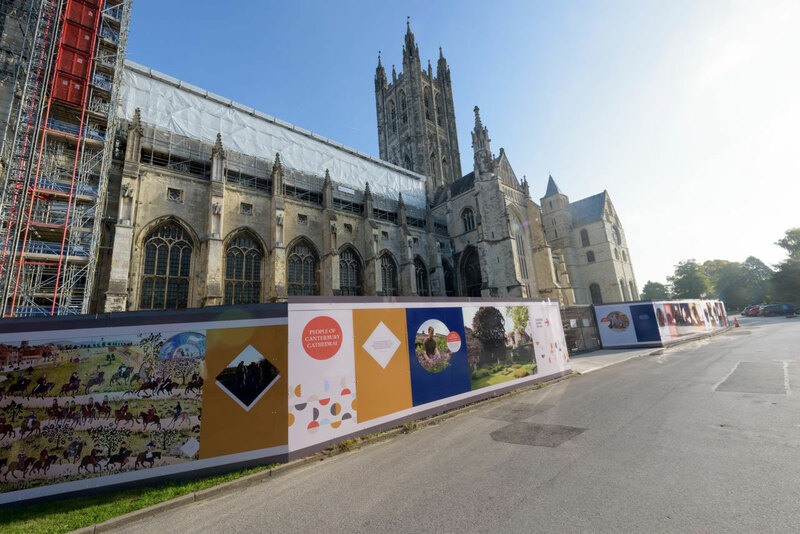 The renovation of this world-renowned structure is known as “The Canterbury Journey” and its purpose is to ensure the cathedral’s integrity for centuries to come. 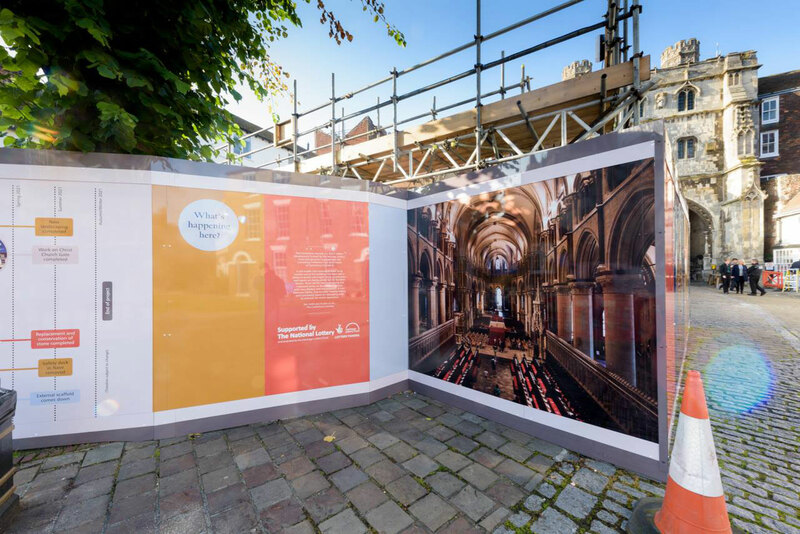 The hoarding solution had a series of requirements where it needed to protect the constructed areas while under repair, but also still showcased the beauty of the site to not accommodate the nearly 1 million visitors it sees annually. 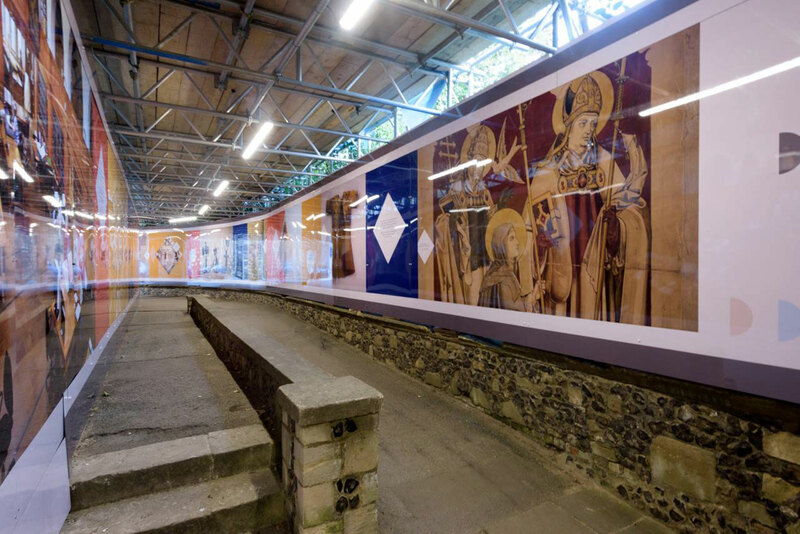 The result is colorful display using a minimalistic, contemporary color palette with high-resolution images of the cathedral’s remarkable interior, history and the community it serves.